Ai Editorial: Emotional data in travel shopping - is it knocking on the doors of realism? Understanding heart rate variability while browsing hotels on a website or ascertaining the emotional engagement of a traveller during an interaction with an in-flight attendant is fascinating to say the least. How all of this, which is a part of bio-analytics technology, can shape up a conversion or a travel experience is one area that can’t be ignored. IoT devices typically send more data than the average technical product, this means such data has to be processed and analyzed in real-time. Think of smart sensors that allow users to track data such as heart rate, skin temperature, and activity levels on connected devices, and what all can be derived about users of these devices in the future. 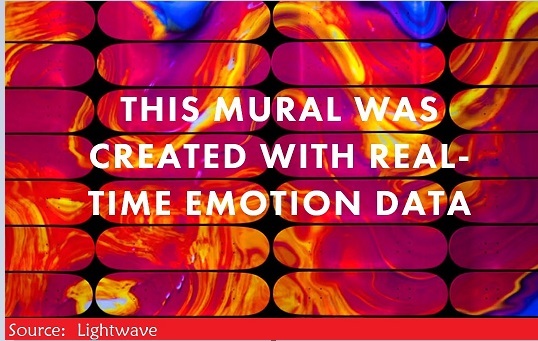 Adobe recently highlighted the utility of evaluating “mood” based on voice analytics as well as a reaction based on facial recognition. So how about analyzing the reaction of a human being even as they interact with a digital asset? Adobe recently referred to a “rising heartbeat” and a “change in body temperature” in response to an ad or a piece of content. There is already reference to algorithms analyzing how people feel about an ad by tracking their facial expressions. The prowess of emotional data can really lift an experience to another level. The ability to analyze and visualize an emotional response and counting on it as a metric in the digital world is too tempting. This way travel brands can go beyond usual metrics such as clicks or time spent on watching a video to understand the intent of travellers. Of course, keywords or clicks can ascertain to an extent what the user is looking for, but the mechanism needs to be refined especially considering how today’s devices are streaming data. The way emotional data can contribute in a positive experience or a conversion is fascinating. The source of data could be wearables, facial recognition technology etc. going deeper into every profile’s heart rate, electrodermal activity (variation in the skin conductance), facial reactions etc. Say a traveller is keen on finalizing a destination or a hotel room for a holiday. This travellers watches loads of photos, videos etc. and there are few places that fall in the consideration set. What if there was way to know which content resulted in joy or surprise or even a smile? Can the capturing of facial expression and behavorial data (the way mouse is used, pattern of clicks etc.) be co-related to the response to the content what one came across? Interaction with a digital asset: One way to know about an interaction is the number of clicks - was there any place in particular that was searched in detail? Was there any destination that immediately resulted in excitement? But how about blending emotions with clicks? How this gets sorted is a work in progress, but imagine the possibilities of knowing a traveller better. So if a user clicks on Edinburgh-related videos and Barcelona-related ones in one session, emotional data could well be the key to knowing how a session went, and what possibly needs to be done to make an impact in the booking funnel. Retargeting: So how about a retargeted ad based on an emotion captured while browsing hotel options on brand.com or OTA.com? Rather than showing 5 properties browsed for a particular location, which one or two evoked a better emotional response could be showed again. May be the exact creative or video that was the highlight of the browsing. This is where brain research, changes tied to the blood flow, the resulting emotion etc. is being co-related with the text or other content resonating most strongly. Offline interaction: Equating a conversation on the day of travel and feeding this into data platform of an airline. Technology (where the tone analysis translates attributes like happiness, sadness or anger) here would contribute in a big way. Considering Robert Plutchik’s psychoevolutionary theory of emotion (eight primary emotions—anger, fear, sadness, disgust, surprise, anticipation, trust, and joy), it is by no means an easy task to incorporate the same into the world of retailing, especially all of this in real-time. Still how travellers react emotionally while using a touchpoint or app is worthy of evaluation. All of this becomes more important considering that airlines, hotels, OTAs, meta-search engines etc. are also experimenting with VR technology, chatbots and even emotional and artificial intelligence-powered “digital humans” (Air New Zealand chose one to impress guests by answering questions about New Zealand as a tourist destination). The question here is - with advancements in science, technology, data, devices etc., how to bring in a tinge of realism for all of this to work? Say you choose to deal with a “digital human” and you are excited, you are in command. Even if this representative crosses the hurdle of answering basic questions that it is designed for, how about going deeper by blending bioanalytics in real-time and coming up with best possible answer in terms of making the most of the profile of the traveller (past history, preferences etc. ), backed by apt business rules for content, merchandising etc. The blend of artificial intelligence, cognitive computing and emotional data could well lend a new dimension to ascertaining how a traveller “feels” and accordingly delivering the best possible customer service or an ad or a digital experience. Hear from experts about data strategy and making the most of the same at the upcoming Ancillary Merchandising Conference, to be held in Edinburgh, Scotland this year (9-11 April, 2018).